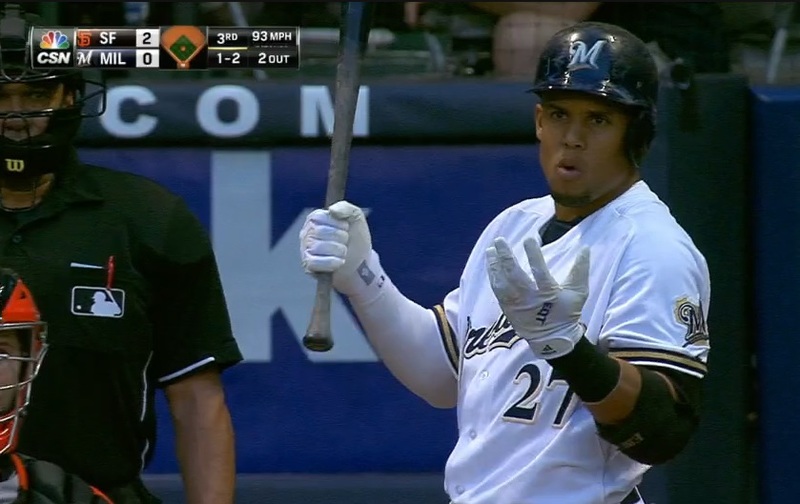 There was a lot of shouting at Carlos Gomez in Milwaukee on Wednesday. Some of it was from Madison Bumgarner. Most was from Gomez himself. Bumgarner did not approve. The pitcher glared at Gomez, then fed him an inside pitch—it didn’t come close to hitting him, but conveyed an unmistakable message. Gomez popped out on the lefty’s next offering, also inside. Bumgarner had some words for him as he headed back to the dugout. Who does that guy think he is, Bumgarner? I never scream at anybody when they miss a pitch and he screams at himself, or they make a pitch and be happy. I never say anything. So you put a good swing and they’re looking at you like you’re a piece of (garbage). Tell that (guy) to throw the ball and don’t worry about my thing. That (guy) was looking at me like I’m an idiot. So you worry about pitching. I worry about hitting. I don’t care what you do. You can strike me out and do whatever you want. That doesn’t bother me. But a professional, like the guy thinks he (is), you throw the pitch and the hitter can do whatever he wants. I missed a pitch. . . . I was (upset) because I waited for that pitch and I’m supposed to hit it and I missed it. I was (mad) at myself, so he can’t be looking at me. He’s not my dad. … then we wouldn’t be talking about the incident today. The reality is that Gomez is no stranger to controversy. Like his brawl with Gerrit Cole in 2014. And his showdown with Brian McCann in 2013. And his confrontation with Joe Mauer in 2010. The guy has his moments. So then does Bumgarner, who lit into Yasiel Puig last season for flipping his bat, and into Juan Guzman in 2013 for much the same reason. It wasn’t even the first time he dug into an opponent for self-flagellation; Alex Guerrero did a disgusted pirouette after flying out to right field against the Giants earlier this season, and MadBum had a few things to say. The takeaway: Bumgarner is one of baseball’s noted red-asses, and whether or not you like it, at least he’s consistent. He’s not settling any stupid, made-up scores by drilling guys, so in that capacity he’s fine. 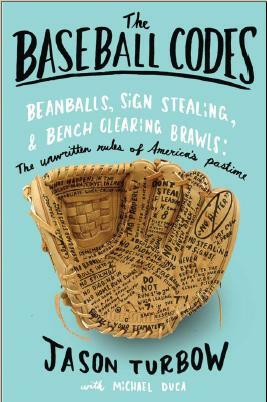 And baseball needs a few curmudgeons to keep things spicy. Gomez, for all his fire, has the right to be annoyed, but he should also come to expect it. Bumgarner’s not his dad, but he does make his own rules when he’s on the mound. Gomez doesn’t have to like them, but he’d be well served to understand that things are probably not going to go any other way.